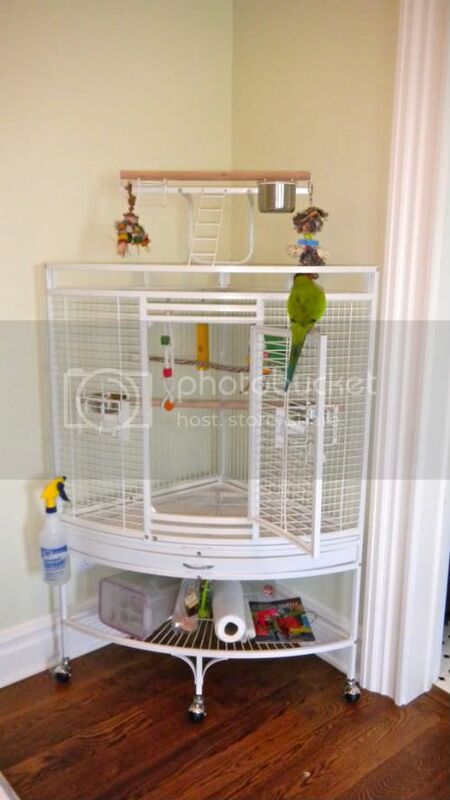 I decided to go with the same cage I have for my nanday conure. It stays pretty mess-free and I like how it takes up less space because they fit nicely as corner cages. I don't love the idea of sleeping between the two of them (i do have an air filter on the way ) but I dont have the room especially because I don't live on my own. By the end of the year I am supposed to get an apartment and look forward to letting them have their own room (not mine!) or at least be in the same area together. 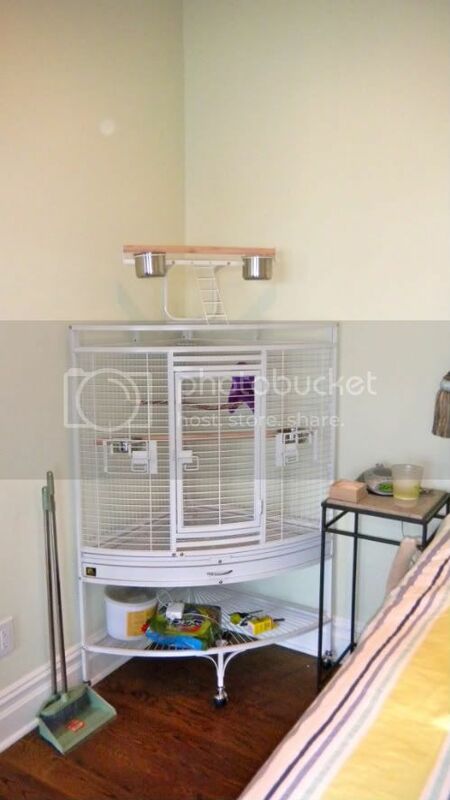 For the first few weeks I am going to roll the new babies cage into the guest room to make sure she is okay healthwise and to give my other bird charlie time for adjusting. Here are some pics after just setting up the new cage. Nice! So tidy! Love the view too...hope your birds do as well! Every parrot has a duty: To reduce the world to toothpicks. Wow! I love the corner cage, had I a corner I'd of considered that myself, lol! 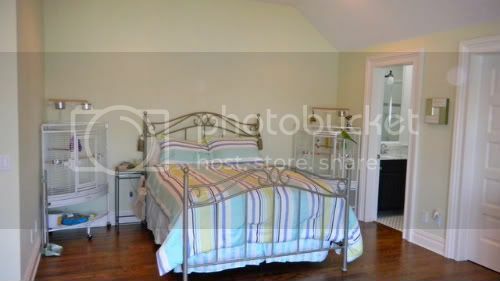 My room is soooo messy compared to yours - then again I did move a 4 room house into 2 rooms! those are really nice cages! is it bad to sleep with a parrot? because i sleep in the same room that skeeter is. i love the cages!!! i wanted to get something like that eventually. 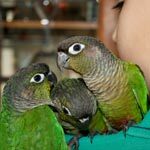 ...the main reason for not sleeping with birds, and other pets, is that you're exposing yourself to more dust and dander which can eventually lead to allergies. Chicken (and other livestock) farmers (extreme case) are also prone to developing severe lung disease (Farmer's Lung) from working in the barns. Nowdays most safety conscious workers wear respirators. If you cover the cage at night, I'm sure that eliminates 90%+ of the issue. the cages do get covered. it's not a permanent set up so for now, it works for me. But if I was going to live here permanently I wouldn't have them in the same room as me or at least would put them on the other side of my room next to each other. my room is pretty big and gets good circulation but i don't think its great to be sleeping between them. we'll see, i'm in the middle of looking at places with the help of my parents so..
Really nice job with the cages! Looks really good.